New Poet Challenge July 14! 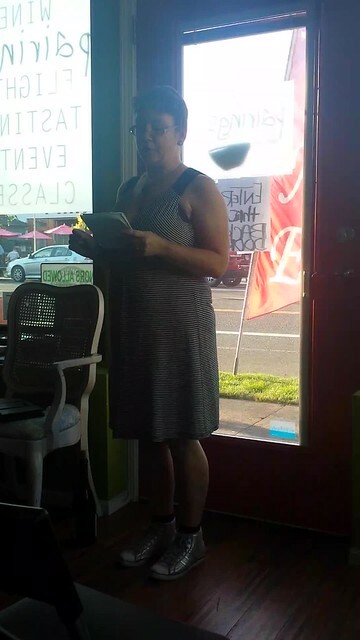 Hey all, I will be one of the guest poets at the New Poet Challenge event at Pairings wine establishment, July 14 (this coming Tuesday evening). It runs from 6-8pm or thereabouts and is a free event. Also, delicious and reasonably priced wine! I’ve invited Alex Platanias and Geino Aötsch as my new poets. Neither of them have read at a formal poetry event before (to my knowledge), but I know they and all of the other invited readers will be well worth the listen.